Do you ever wonder what it would be like to really enjoy your work? Do you love your work, but wish more people … the right people knew about it? Do you dream about walking away from your soul-sucking job or dream about creating something that supports your life in more ways than providing a paycheck? Maybe one or more of those questions resonate with you, or perhaps you have an idea you want to bring into the world, but need extra support, answers, and accountability. Perhaps you want to create work that nourishes your spirit and inspires health and happiness in your life, and in the lives of others. As you’ve probably noticed, the stress from a crazy-busy life doing work you don’t really care about is impacting your health and relationships in a negative way. Trying to fit everything in, or pleasing people who want your busiest, not your best leaves you feeling completely depleted at the end of every day, or at least it did for me. From the moment I began to create something new, even before I really knew what it was, I felt better. Even though I was still working a stressful job, it didn’t feel as bad, because I had hope. I had hope that things were going to change. I’d wake up excited to get to work. sharing my story, my heart, and my soul would mean something. I wouldn’t have to answer to unreasonable managers or bosses. I didn’t have to prove my worth through weekly meetings and ridiculous reporting. I could take a walk in the middle of the day or go to a yoga class on Monday mornings. I would have something left to give the people I love at the end of the day. All of those things happened because I created a soul-centered business. Recently, someone asked me what my favorite part of my business is and I said writing, but after giving it some thought, I realized the best part of my work is that it is soul-centered. What I mean by that is I trust myself to know what’s best for my business. I don’t ignore what I know, really know on the inside in the name of making more money, growing faster, or pleasing someone else. It’s not always easy, but it’s the simplest, most rewarding way to do business. It means I don’t say yes when my heart says no. A soul-centered business gives me the confidence to try things when I don’t know if they will work, the clarity to know the difference between helpful criticism and negative feedback and the strength to know when to let go. Working from a soul-centered place allows me to notice when I’m working too much, or working in a way that isn’t supporting health and love in my life. When that’s happening, I can change course quickly instead of waiting for a breakdown. Imagine what it would be like to work in complete alignment with your heart and soul. Would you be happier and more creative? Would you become more attractive to others because you are finally showing up as you? If this sounds appealing to you, I’d like to invite you to join the new Soul-centered Business School. Soul-centered Business School consists of 3 monthly webinar-style video classes. Each class is live, interactive and approximately 2 hours long. The classes are a combination of instruction and conversation. I’ll present on each of the topics listed below and then open the class up for Q & A, or what I like to call, the place where heart and soul meets nuts and bolts. I am only opening this first (and maybe only) session of Soul-centered Business School to 100 people. I want to make sure we get to know each other, and have time to work together. We will be working together live 2-4 hours a month, but the real work and transformation will be happening in between, and even long after this program ends. School is in session June 16th – September 17th. Soul-centered habits and routines to support creative work. Simplifying your life to create work you love. Aligning who you are with what you do. Choosing a platform that speaks to your soul and your strengths. Overcoming the fear of “putting yourself out there”. Facing tech-fears and why you shouldn’t worry if you aren’t “tech-savvy”. Creating a side hustle for fun/money/ or leading to full-time work. How to leave a soul sucking job, or create joy in it until you can. Choosing the best social media platforms + specific techniques to grow on Instagram and Facebook. Soul-centered connections; connecting with the right people for you without ever attending another networking event. 2 times will be offered for each class to accommodate schedules and time zones around the world. Recordings will be available for each class. Your choice of two webinar times to accommodate different schedules and time zones. Access to recordings of all sessions. An invitation to submit questions in advance if you can’t make one of the class times. Private Slack group to connect with others, get feedback on business or project ideas, and ongoing clarity. Monthly (optional) homework assignments designed to meet you where you are. Additional resources and behind the scenes recommendations. Surprise bonus content and other opportunities to connect. Is Soul-centered Business School right for you? You are excited about making something new or growing something meaningful. You’ve experienced your “enough is enough” moment, or wake-up call after wake-up call and are ready for a change. You want to connect and grow with a small group of amazing people. You want to brainstorm and work directly with me. Health, happiness, and love are important to you. You don’t want help or aren’t open to feedback. You don’t really like my work. You don’t want anything to change with your life or work. If you struggle with uncertainty and lack the clarity to know what do next, you are not alone. I know how you feel. After decades of debt, discontent, and trying to do it all and have it all, a scary MS diagnosis stopped me in my tracks. I had to slow down, prioritize my health, and figure out what was really important in my life. I was so exhausted and worried that at first I didn’t know what was important. I finally discovered what mattered most by getting rid of everything that didn’t matter at all. I went from busy, overwhelmed advertising director (with hardly any energy left over for my family and passions) to spending 2-3 hours every morning taking care of myself, loving my work, and being present and engaged with the people I love. It took putting myself first and investing my time, money and attention in discovering what I needed most. I had never been willing to do that because I was so busy taking care of everything else. I thought I could go it alone, and if I’m being really honest, I didn’t think I was worth it. By simplifying my life and changing my habits, I found my way back to love and I discovered I am worth it. 16 months after starting Be More with Less, I quit my job and left a long career in sales and marketing. 6 years later, I still have a thriving business that fuels me creatively, and doesn’t sap all my energy. I love, love, love my work and especially love that my work gives me a chance, and even encourages me to enjoy my life. As you may have noticed, there are endless options out there to help you build an email list, launch a course, grow a blog, or anything else you want to learn. I’ve paid attention to some of those offerings and advice and with all the strategies for growth/marketing/money-making, I’ve maybe implemented 10% of it. The other 90% of what I do comes from finally trusting myself, learning about what you want, and talking to you like I would talk to my best friend/daughter/neighbor because I don’t want to do business any other way. I can help you do that too. I’ve worked with hundreds of people to develop projects, platforms and other work. This is feedback from 2 of them. 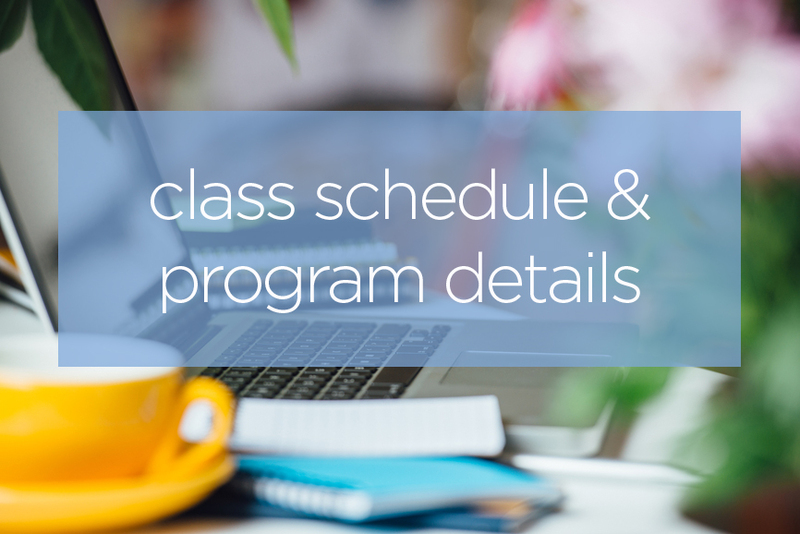 Soul-centered Business School students will have access to recordings of all classes, can join any session or submit questions in advance if unable to attend any of the following classes. You can even join both sessions on the same topic if you want to ask more questions or dig a little deeper. Once you join, you’ll receive a welcome letter with more instructions about what to expect, a questionnaire so I can learn more about you, and more details about how to get started. Q: Why is the course only available to 100 people? A: With only 100 people in the course, we can dive a little deeper into your individual needs. We are going to cover several topics in each live class, and even if they don’t all apply to your unique situation, we can expand on what matters most to you during the Q & A and in the secret Facebook group. Anyone can apply the lessons I’ll be sharing, but with a smaller group we can brainstorm on specific projects, and address individual situations. In other words, I want to get to know you and help you make a difference for someone else with your work. Q: Can I buy individual classes? A: No, Soul-centered Business School is only available as described here. A: You are welcome to pay with card or Paypal unless you choose the monthly payments which are only available through Paypal. Q: What if I have no idea what I want to do next? A: That’s ok. Through each class and our interactions, you’ll develop a solid foundation to build on, and create some clarity around your next steps. Q: What if I know exactly what I’m doing and some of what you are offering might not apply to me? A. Even if you think some of the topics don’t apply to you, between the ones that do, and the time we spend together during live Q & A sessions, in the Facebook group, and through surprise material, you will find great value in the Soul-centered Business School. There will be lessons you can apply not only to your work, but to the rest of your life. Q: Will classes be recorded? A. Yes, you’ll have access to all recordings forever. Q: What if I don’t want to join the Slack group? A. The Slack group is optional, but I highly recommend it for extra connection, assistance, and accountability. Q: Will you offer Soul-centered Business School again? A. I don’t know. This might be the only time. A. I’m glad you asked. Simply click one of the blue boxes below and if you are one of the first 100 people to sign up, we will be working together soon!